I have been enjoying watching the boys and girls basketball teams in Indiana and Wisconsin play their post-season games the past couple weeks. My old high school, Marshfield Columbus Catholic, were the runner's up in the Wisconsin Division 5 Boys Basketball State Championship. Also, one of the former high schools that I worked as an athletic trainer and coach, La Crosse Aquinas, won their second Wisconsin Division 4 Girls Basketball State Championship! It has been exciting to watch these games and now the Men's and Women's NCAA March Madness is ready to begin. In celebration of March Madness and National Athletic Training month, my wife, Sharon and I would like to give our followers a chance to win an 8-ounce bottle of Young Living massage oil. There are seven different choices of massage oil. 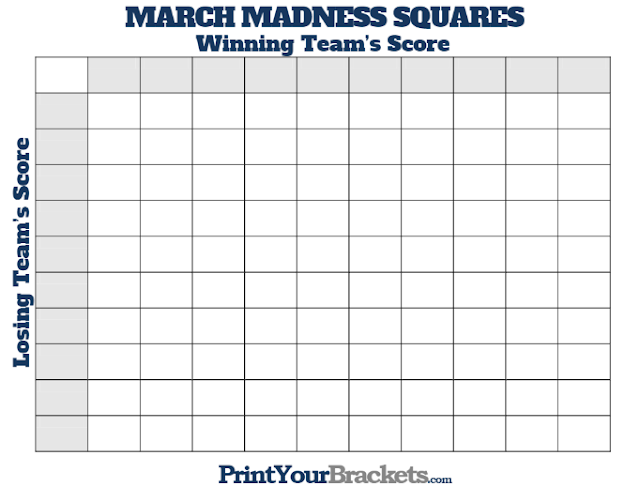 The first 100 followers to contact us will be entered into two different March Madness Squares pools. You will get one entry into our Men's NCAA March Madness Squares pool, and another entry into our Women's NCAA March Madness Squares pool. You must contact us by Wednesday, March 20th, 4 p.m. Central Time- USA to be entered into our pools. Once you are entered into our pools, we will send you copies of the two square pools via email. You will receive a number square with a winning teams last digit and the losing teams last digit. You will have those same numbers for the entire NCAA College Basketball Tournament when the field of 64 teams is set (the PLAY-IN GAMES are not included). If the FINAL score last digits match your numbers, you will win that particular game. You have the chance to win each and every game (63 games total) throughout the entire tournament (the play-in games before the start of the tournament are not counted). 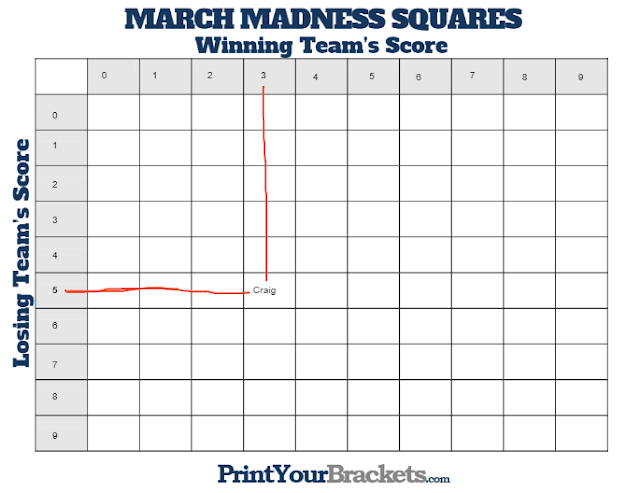 So, if you have the winning number 3 and losing number 5, and Wisconsin beats Oregon 63 - 55 in the first round of the Men's Tournament, you will win one point for that game. If you would like to win an 8-ounce bottle of Young Living massage oil, make sure to contact us by Wednesday, March 20th, 4 p.m. Central Time- USA to be entered into our pools. Again, these pools are limited to the first 100 followers that contact us, so sign up now! The Massage oils will only be shipped to addresses within the continental United States.